01 AprWhat is Exfoliation and Should You Exfoliate ? 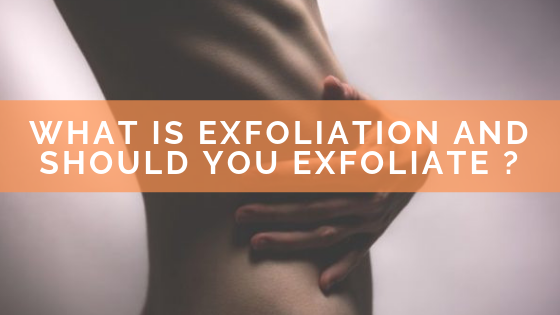 For years as I was growing up, I often heard the refrain “exfoliate dead skin cells” or you are going to have skin problems. Commercial products also repeated the same mantra. Even in my youth, I began to wonder if exfoliation was such a great idea. Continued friction over and over, causes a structural change. (How do you think the Grand Canyon was formed…..rock vs. water). Thirty years later, science is now advising against the harsh daily exfoliation ritual. However, it is still very important to encourage the removal of dead skin cells. The skin is technically the largest organ of the body and is wondrous in what it can do and what it prevents. The skin that we touch every day is composed of cells called corneocytes. Simplistically put, they are dead cells that have risen to the surface and compacted. Removal of dead cells in this uppermost layer helps the skin breathe, softens the skin and helps suppleness which improves the appearance. There are two types of exfoliation….Physical and Chemical. Physical is the use of salt & sugar scrubs, soaps with oatmeal and other botanicals, electric sonic brushes and microdermabrasion. Chemical is the use of enzymes, acids and peels. Enzymes from fruit can naturally clean pores, remove excess oil and slough off dead skin and are used in many commercial products, you just have to pay attention to what “else” is being used in the formulation if you are trying to use clean products. But we have a solution for you. Alpha-Hydroxy Acid, known as AHA in cosmetic circles. The compound Glycolic Acid is an AHA with a very small molecular size which allows it to easily penetrate the skin. There is also benefit of lactic acid which is in milk. These are some of the powerhouses in Goat Milk Soap. 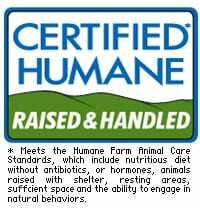 The AHA that is created in the production of Goat Milk Soap does two things. Think of the outer skin as looking like a brick wall with mortar between the bricks. The stratum corneum layer resembles this. The AHA comes in and helps to loosen and dissolve the “mortar”, which is a mix of fatty acids and sebum that hold dead cells in place. Repeated use of goat milk soap will actually gently loosen and remove dead skin cells without disturbing the stratum corneum and causing damage. Damage to this layer of the skin disrupts the “barrier function” (we did a Blog on this as well). So Goat Milk Soap is actually protecting the barrier function of the skin by strengthening the outermost cells with the natural lipids it delivers, once the dead cells are washed away. Removal with naturally occurring AHA is the safest and least intrusive way to exfoliate. We have tons of anecdotal evidence from customers who rave about the softness of their skin after using goat milk soap for a week or two. You can actually FEEL the difference. Sometimes, mother nature does know best. AHA is one of the reasons (not known at the time) why “milk baths” have been a staple in some of the best spa’s in the world. Milk CAN actually soften the skin and now you know the science behind it!